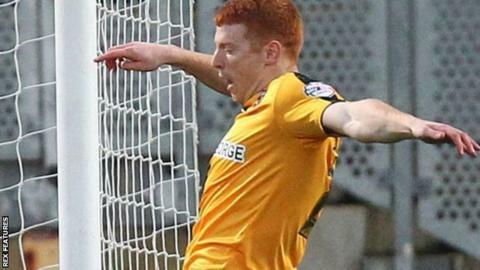 Bristol Rovers have signed Cambridge United striker Rory Gaffney on loan, initially until 2 January 2016. The 26-year-old has made six appearances in all competitions for Cambridge since signing in January from Irish Premier League side Limerick. Rovers boss Darrell Clarke told the club website: "He gives us a different option in attack. "He's a lad I've heard about through my contacts, from his time in Ireland. I'm looking forward to seeing how he does."